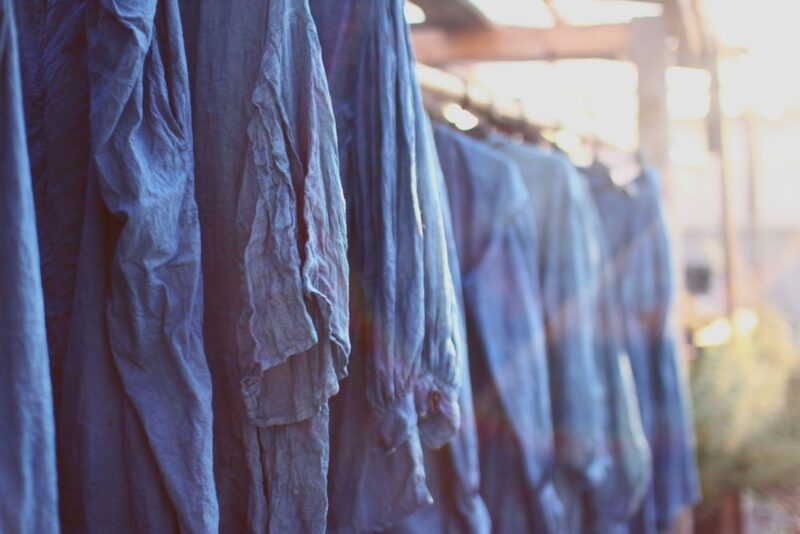 Using simple materials of Nature, dyed by natural ash fermentation. 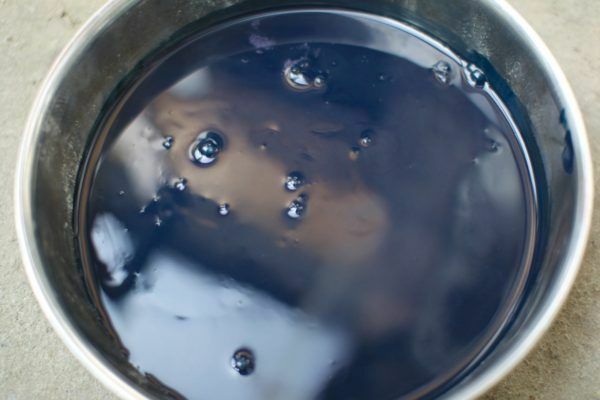 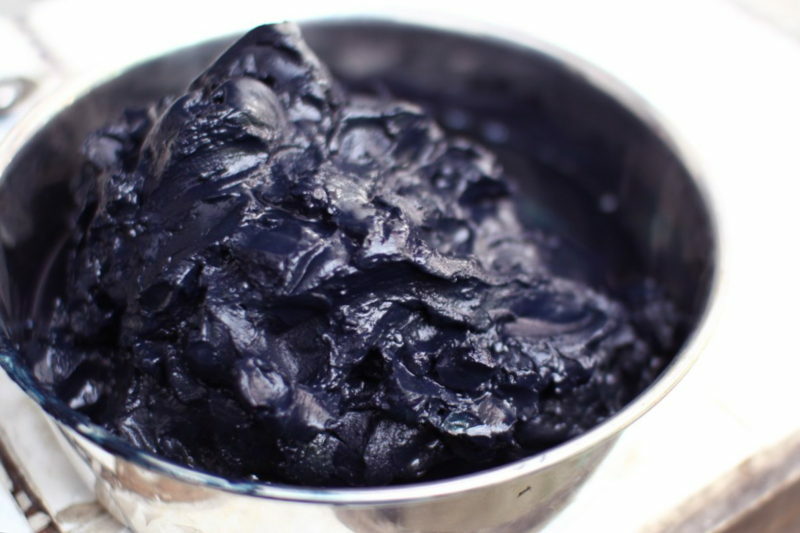 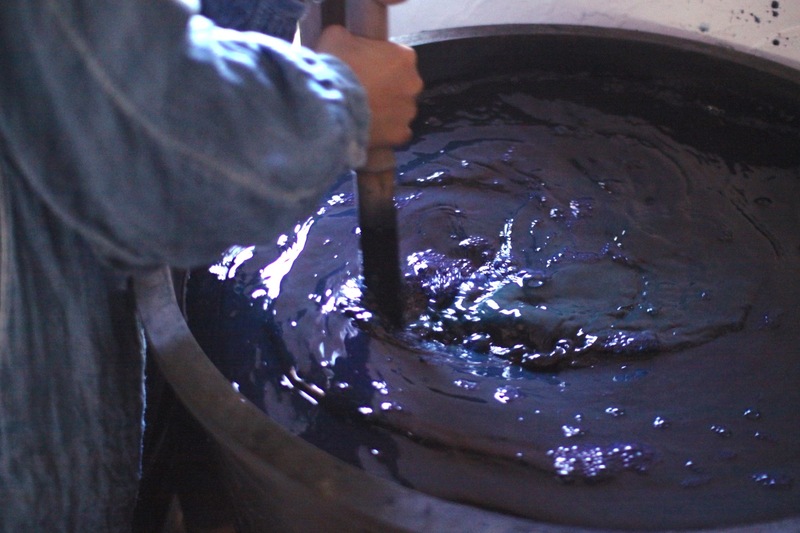 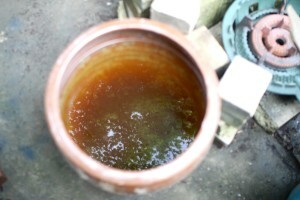 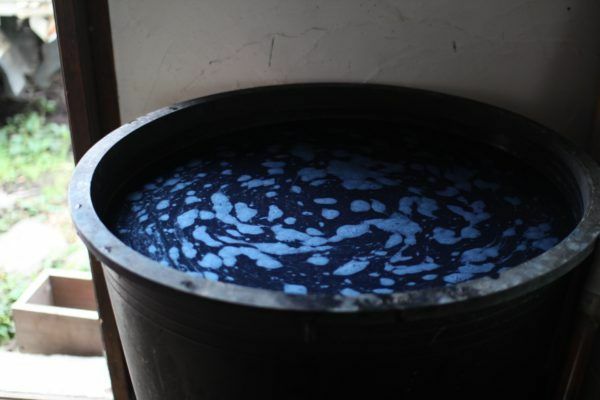 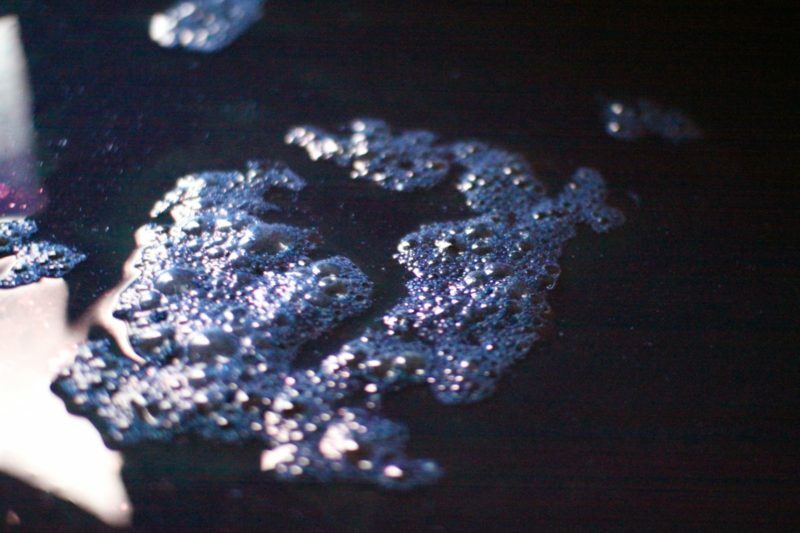 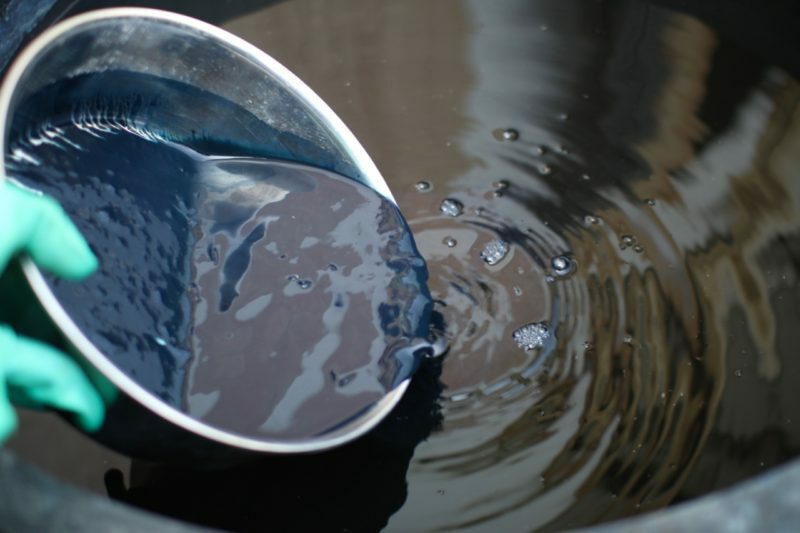 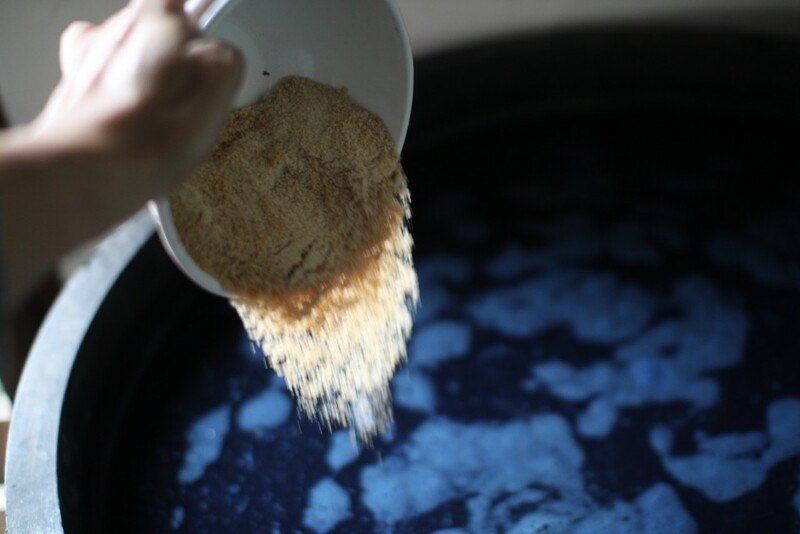 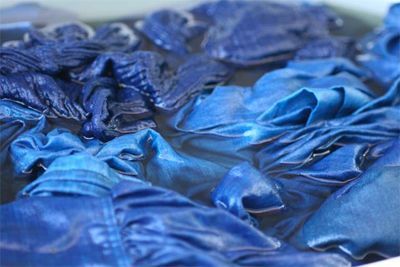 I prepare vats of natural indigo in Nagano by fermenting indigo leaves using living bacteria. 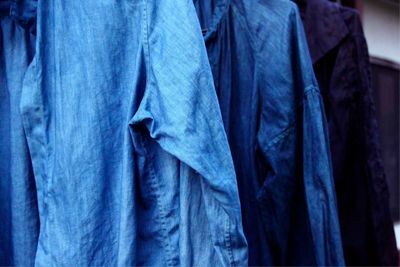 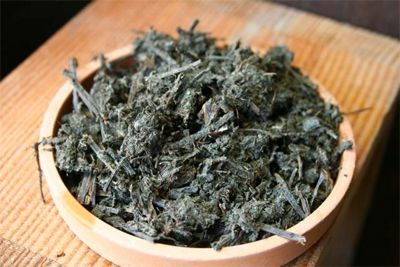 I use “sukumo” (composted indigo leaves from Tokushima), “Ryukyu ai” (indigo extract from Okinawa), or our own homegrown indigo leaves. 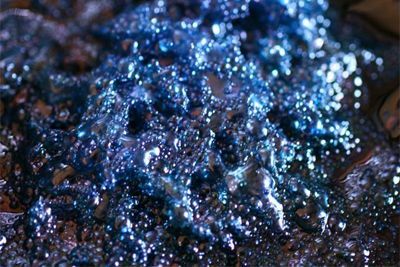 (In 2016, I had to supplement with indigo from South India, because of the indigo crop failure that year in Japan). 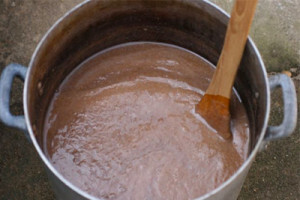 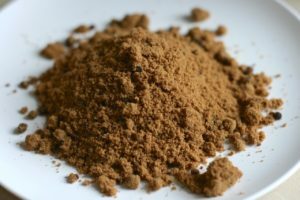 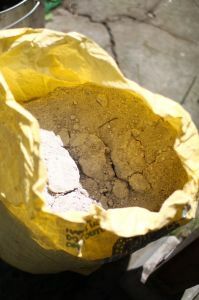 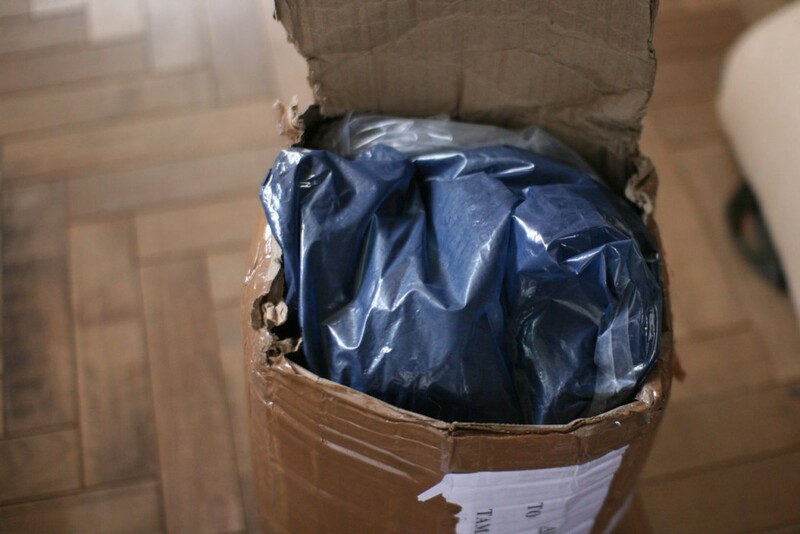 Of course, it is easier to use chemicals, such as caustic soda, as reducing agents, but I continue to use natural materials, with natural ash fermentation, using vegetable ash, sugars, etc., as reducing agents.